Clarivate Analytics Walkin Drive for B.Pharm, M.Pharm | Scientist Jobs in Chennai | 30th November 2017. Clarivate Analytics Job Openings in Chennai for freshers as Bio-Technical Research Associate/Scientist positions. It is a good news for the candidates who are looking for the Latest Walkin’s for Scientists jobs. Interested candidates can check the Clarivate Analytics Careers for further details about walkin drive. Clarivate Analytics is hiring talented and passionate candidates who are willing to work in any rotation. People with good communication skills can easily placed in Clarivate Job Openings for Chennai location. Follow our blog All India Jobs for latest and fresh updates on Fresher Jobs. Aspirants are looking for Medical, Healthcare, Biotechnology Jobs??? Are you interested to apply for Scientist positions?? What are you waiting for?? Here is a great opportunity to fulfill your dreams about your career. Clarivate Analytics is hiring the freshers for Bio-Technical Research Associate Jobs. Interested and eligible candidates can apply for Clarivate Job Openings for Chennai location. Since there is a huge competition for freshers, be ready to answer the Interview Questions in Clarivate Analytics Walkin Interview and score a good marks. As per the recent updates, Clarivate Analytics is planning to conduct online test to check the capability and technical skills of the candidates. Only the selected candidates are placed in Clarivate Company by offering Scientist positions. No need to worry about your practice for written test. Here we are providing the Latest Placement Papers which will help you to gain your technical knowledge. Along with that, candidates should practice Clarivate Analytics Test Patterns for knowing the online exam details. By practicing the providing Model Papers, hope you will get selected for Clarivate Analytics Scientists Jobs with good remuneration and other extra allowances. Further details about Clarivate Analtyics Walkin Drive are provided in this blog www.allindiajobs.in. Responsibility to identify technology development and training needs for an on going basis. Recording the performance against target. Apply indexing and coding to patent documents with editorial conventions and policies. Achieve quality targets and production volume. Active communication with team to ensure targets are met. Ability to maintain time and personnel planning. To relive for team members when required. Enhance your knowledge on current developments in technical areas. Maintain an adaptable and flexible approach about process change. Positive efforts to promote personal safety and others by taking reasonable care at work. Carry the requirements of the law or recognized codes of provided or advised by management to safe working environment. Undertake reasonable duties as requested by director/ line manager on a permanent or temporary basis. Clarivate Analytics is the global leader in analytics and trusted insights with the pace of innovation. It is formerly an IP & Science Business of Thomas Reuters. Most of the corporations and brands, world’s top universities has a trust on it. Along with that it provides trusted analytics and insights to their customers and enable them to discover the commercialize ideas, faster growth across the world. Today, Clarivate Analytics is on a bold entrepreneurial path by providing products and services to customers with trust and value. Clarivate is committed to provide the best-in-class technology which enables expert solutions for consistent delivery. Customers will rely on our combination of technology, long-established experience and judgment to improve their own businesses. 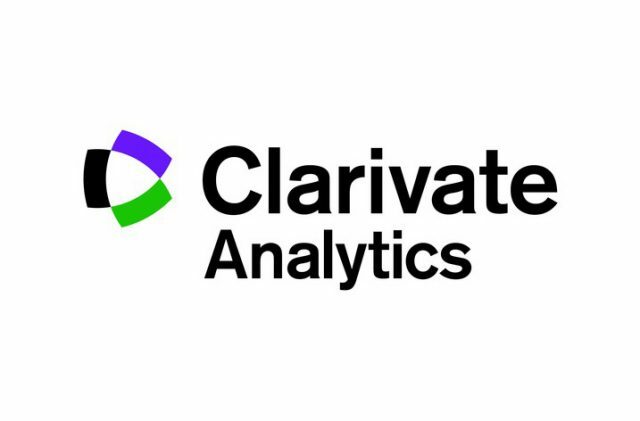 How To Apply for Clarivate Analytics Jobs Vacancy?? Candidates who are eligible and interested can attend the direct walkin interview which will be held on 30th November 2017 at Chennai from 9 AM onwards. So, aspirants can check the Latest Clarivate Bio-Technical Research Associate Job Openings from below article along with Clarivate Jobs walkin drive details. Hard copies of all the educational documents.